Fast and easy to put on. 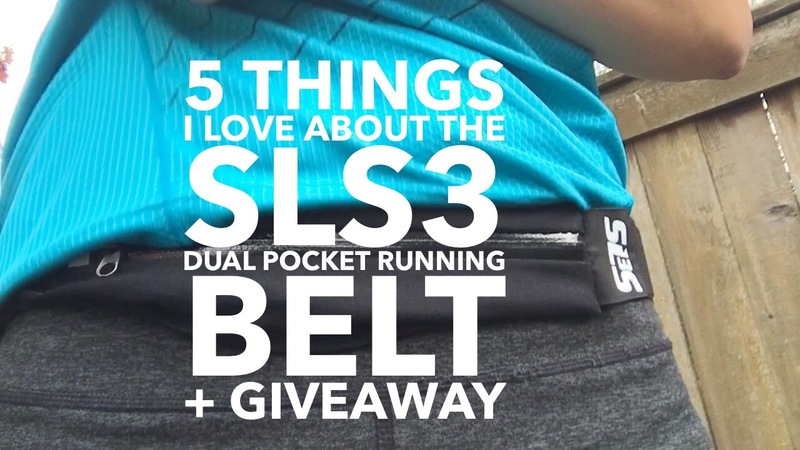 Unlike the FlipBelt that I have to step into, the SLS3 running belt has a clasp that you can easily wrap around your waist and snap to put on. One size and it’s adjustable. I remember when I first got the FlipBelt, it kept moving around and I realized it was too big. I had to return it and get the smaller size since it was size specific. This belt is easily adjustable. One size fits most, fits sizes 24″- 38″. Two big zippered pockets. I feel safe that my items are secure and won’t fall out being zippered. The pockets expand well and fits my iPhone 6 nicely. The other pocket is great to hold my energy gels or if I need to bring cash or a credit card. Fits snug. This is similar to the FlipBelt in that it fits snug and doesn’t jiggle when I run. I’ve run outside and on the treadmill with it and can hardly tell it’s there. It’s hard to see but I’m wearing the belt in the pic below. Water resistant. I always run with my phone so it’s nice knowing that it will protect my phone from rain and sweat. Those are five things I love about this belt. This is another great belt for those looking for a running belt. The nice folks at SLS3 are giving one lucky reader a chance to win one. Click on the link HERE to enter. Giveaway starts on 1/29 and ends on 2/5. Open to Residents of the US 18 years of age or older. Must have a non P.O. Box mailing address. If you can’t wait, their Amazon store is having a limited time introductory price for the dual pocket run belt: http://www.amazon.com/dp/B017DRIKFY. The belt retails at $29.90 but their Amazon store has it listed for $12.90 (57% Off). That’s a fantastic deal! Do you use a running belt? 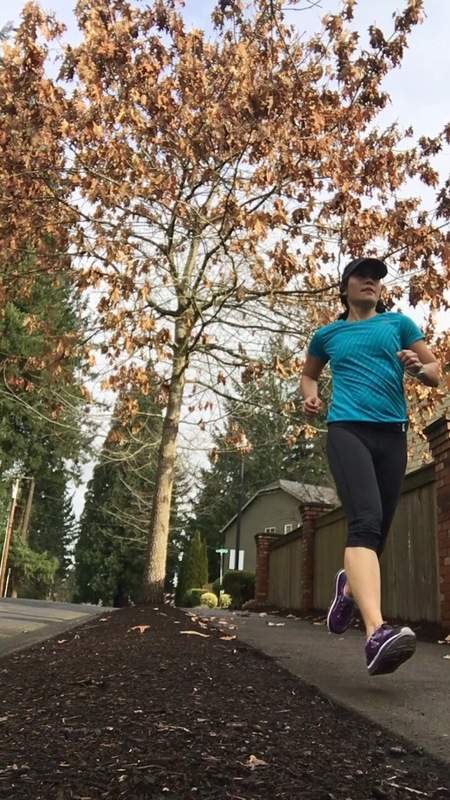 What do you use to carry your phone or fuel on long runs? Are you racing this weekend? Looks like a great product. Christine is doing a product review as well, but I am pretty attached to my flipbelt. Nice! This is a great alternative to the flipbelt, especially if you like zippered pockets. This looks pretty cool! I have something like it by Newton, but it’s not water resistant, which is a little annoying. Thanks for the product suggestion! You’re welcome! It’s so nice that this belt is water resistant. I am looking forward to getting mine. But I got an email that said they were on back order. I wonder how you got yours already…lucky. I think i will like this belt better than my flip belt. As my flip was always a little big and never had a snug fit. This one’s nice since it’s easy to adjust. Great that you’ll be trying it too! 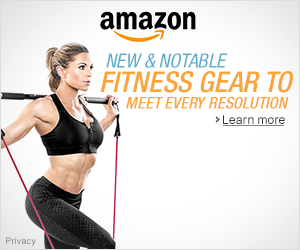 I do use a belt – I tried Flipbelt but think I have the wrong size as it’s uncomfortable. I”m pretty attached to my SpiBelt! Nice! It is similar to the SpiBelt but has two pockets. That sounds really similar to the SpiBelt but I like the fact that it has two zippered pockets. That’s an awesome feature, unlike the SpiBelt I have with just one. Yes, it has two big pockets! Hope you enter the giveaway! Nice review! I like that it is waterproof! Great to hear that it doesn’t jiggle when you run too! Thanks Sharon! It is great that it’s waterproof! Nice! Belts aren’t for everyone. 🙂 Have a great weekend! I’m testing mine as we speak. Review to come! Thanks Tricia! So nice that it is waterproof! Great! So cool you’re reviewing it too! It is nice and easy to run with. Good luck! I use a SPIBELT which seems like a similar thing – adjustable, expandable pocket, etc. But the fact that this has 2 pockets is appealing. And I don’t believe my SPIBELT is waterproof. If I’m wearing shorts, I carry my phone in my pocket. But sometimes you don’t have pockets! If I lived in the US, I’d enter your contest! Having the dual pockets is nice, as well as it being waterproof! I just got mine and am looking forward to trying it out! It seems really well made. We have other gear from SLS3 that we love so I have high hopes for the belt as well! It does seem to be of great quality. I’ve tried their compression sleeves too and like them. Cool you’re trying the belt out too! This looks great. Lots of room for lots of energy gels! Having dual pockets is great! I love to dual pocket design so I don’t have to worry about my phone falling out when I get my Gu. Yes, it’s a great design! This looks like a nice alternative to the flipbelt that I often use. I love how much stuff it can hold. Yes, having two pockets is great! Yes! I forget I have my phone with me sometimes. I like my Spibelt a lot–but love that this is waterproof and has 2 pockets. Sometimes when I get my phone out to change something I worry my keys are going to fall out or whatever else I have in there. So great that it’s waterproof! Good luck in the giveaway! Yes, the two pockets are great! I’m always looking for a better belt. Loved my flipbelt for a while but the waterproofness of this and the added security of a zipper makes me want to try it. Yes, so nice that it’s waterproof! I’d like to try this belt. I have a amphipod belt but don’t use it much because it jiggles when I run and it is not waterproof. This product seems to address both those issues.